After an overnight stay at Monte Amaro in Majella Wilderness our auditors visited the Sirente-Velino Regional Park. Sirente-Velino Regional Park is located in the Italian Abruzzo Mountains. A hike to a pass close to Monte Velino gave a good first impression of the Wilderness potential of the area. The hike led the auditors through wild beech forests and spontaneously rewilding alpine meadows. During discussions with field employee Luca Nucci, the auditors collected useful information about the management of the park. The auditors were particularly interested in topics such as extractive current and past uses, restoration and rewilding activities and touristic development. As a potential new member of the European Wilderness Network, the commitment of the management is essential for a successful future partnership. 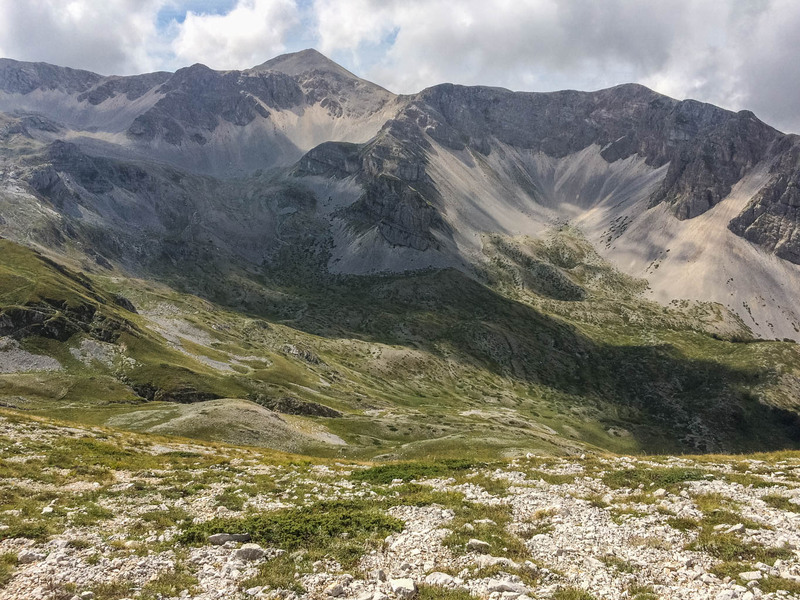 The director of Sirente-Velino Regional Park, Eremo De Nino, expressed his interest and commitment to join the European Wilderness Network during a meeting last Friday. Therefore in the coming weeks, the auditors will work on a report discussing the potential of the visited area to become a partner in the European Wilderness Network. The EWS Auditors did not expect such wild land in a Regional park. It is a signal for us that Wilderness is very likely “hidden” throughout many other Regional parks in Italy. That makes the recent meeting with representative of Abruzzo Region and his invitation to visit another Regional Park in that region even more important. Stay up to date on our projects and Wilderness audits across Europe!